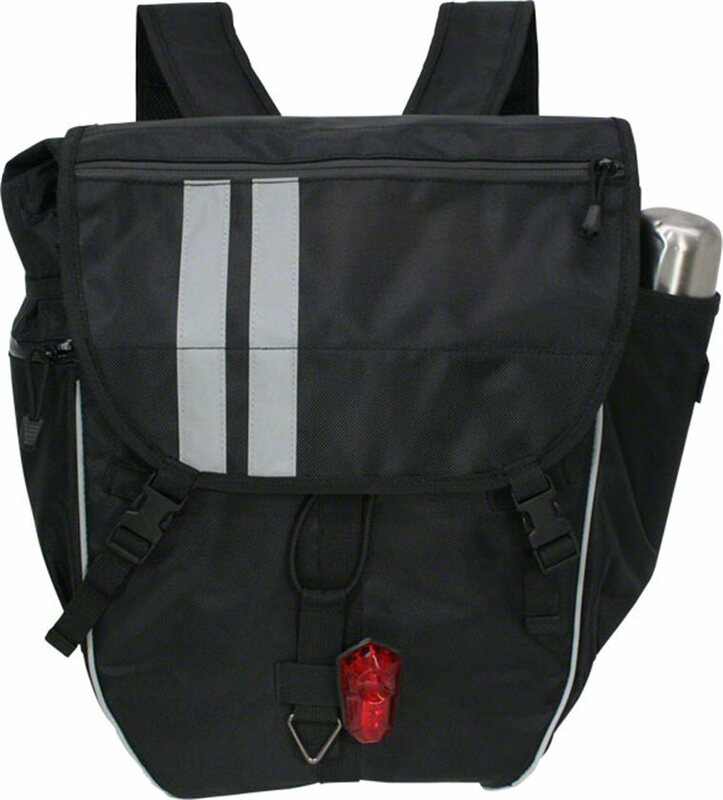 On or off the bike the Banjo Brothers Waterproof Backpack Pannier is working for you with the ability to mount on a rear rack, be carried briefcase-style, or ride on your back thanks to the backpack straps. 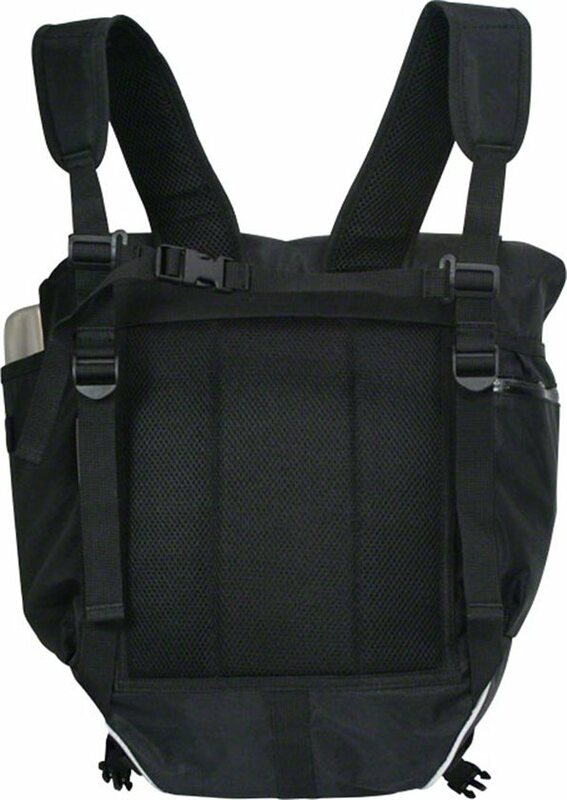 The outer flap hides those straps when using as a pannier, and hides the rack hardware when used as a backpack. 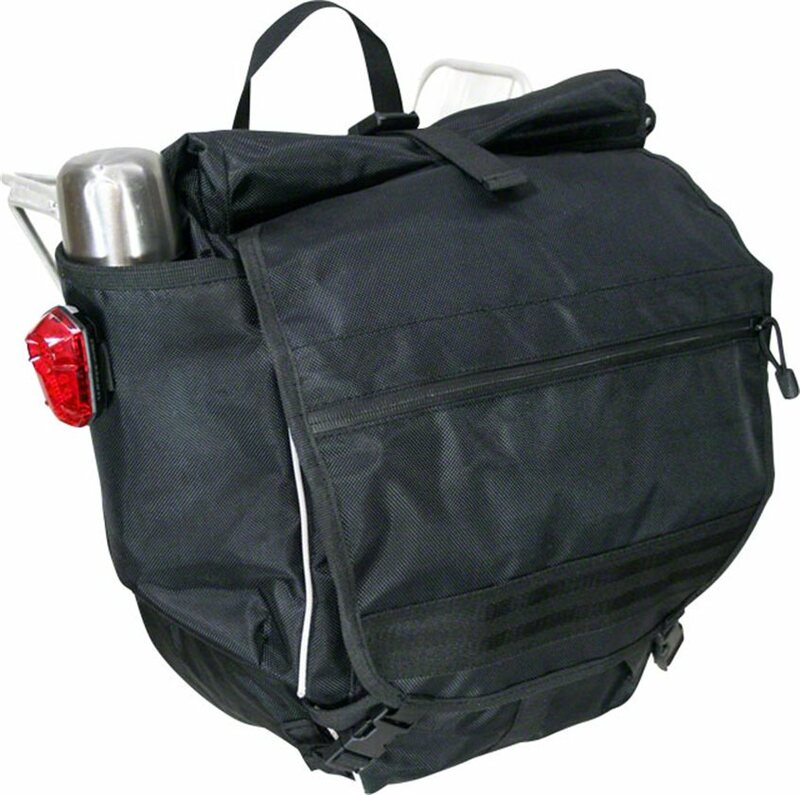 Two-layer design with a ballistic nylon outer layer allows for lights on the back and sides, and the welded-seam liner is full replaceable. Reflective piping helps keep you safe. I have mixed feelings about this backpack/pannier. It's not great in either mode. As a pannier, the straps hang free and always feel as though they are about to get caught in the chain or spokes. Also, the hooks that hold it onto the rack seem flimsy and sometimes one pops loose even when I ride on smooth pavement. It is held snug by a knotted length of elastic cord and sometimes the knot unties itself; it's a lousy design. Meanwhile, the straps are not curved and they're very close together at the top, so it's an uncomfortable backpack. It has a main pocket, two very narrow side pockets, open at the top, and a tiny pocket in the hood. It has no internal organizer. It's just not a great design. 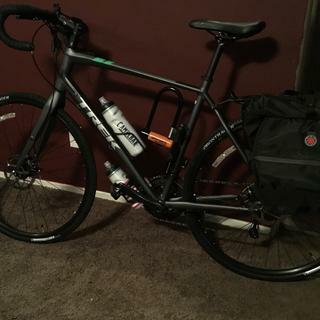 I needed a bag to carry my work uniform on the bike and it does the job. A little awkward as a backpack if you only use one shoulder strap but better if you use both plus the chest strap. Adjustable bungee strap keeps it solid on the bike.